"Introducing the Twelve Words Sampler! 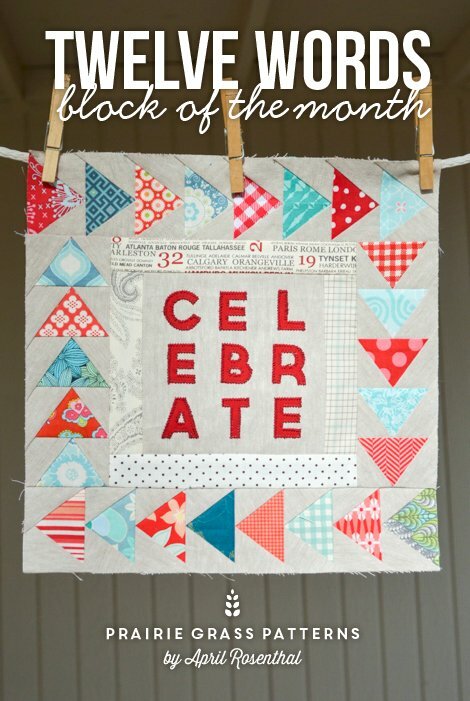 I’m so excited to share this Block of the Month with you…and even more excited to see the blocks you make! I’m calling it the Twelve Words sampler because, as you’ll notice, each block will have a word on it. I chose these words to be uplifting and encouraging, they inspire me and I hope they will inspire you, too. 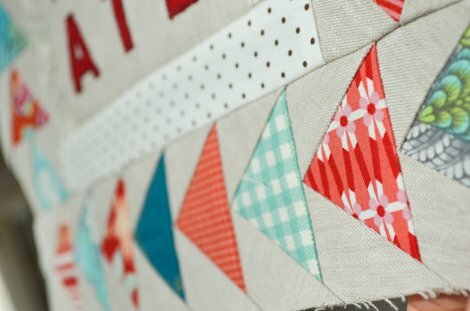 "Each month the blocks will incorporate a basic quilting “building block” as I like to call them, the elements that make up a large majority of quilting projects out there, in some combination or other. This will help build and refine skills, as well as help me build an arsenal of tutorials here on the little old blog. 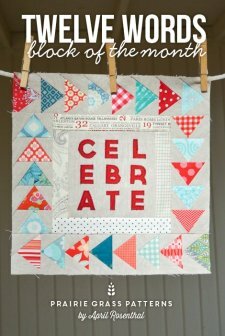 By the end of the year, you will be old hat at machine applique, basic embroidery, flying geese, pinwheels, and lots of other things! Don’t worry, if you need a little hand-holding, I’ll walk you through it. Promise."